Paprika stores your account information in the system keychain on macOS. If Paprika is unable to read your email/password from your keychain, or if you have changed your email/password since logging in, you might see this error message in your sync settings. Most of the time, you can resolve this error by logging out of your current account, and then logging in with your updated email and password. Open the Keychain Access app, select the login keychain, and search for an entry named "com.hindsightlabs.paprika". If you see the entry, then double-click it, and select the Access Control tab. Then make sure the Paprika Recipe Manager application shows up under "Always allow access by these applications". 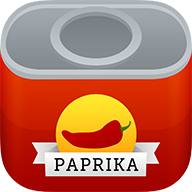 If you do not see an entry for Paprika in the keychain, you can create one manually instead. Go to File -> New Password Item, and then in the Keychain Item Name, put in "com.hindsightlabs.paprika" (without the quotes), and in the Account Name put your Paprika Cloud Sync email address, and in the password field put in your Paprika Cloud Sync password. Then restart Paprika it should auto-detect the new keychain item and prompt for your permission to access it. Note: if the keychain is locked under Keychain Access you may need to unlock it first before you'll be able to create a new item.